› What horn button is correct for 73 mach 1? 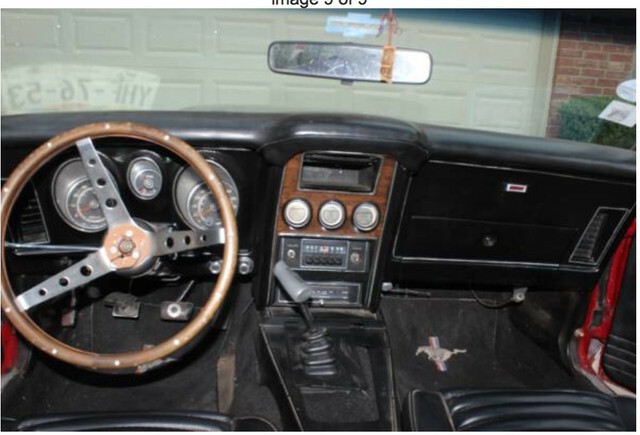 I have a 73 Mexican Mach 1, and its missing the horn button. there seem to be a number of different ones to choose from. I don't know if the steering wheel is original from factory, but I like it. does anyone have a picture of the correct horn button? Not sure what the Mexican had. Depends on the level of the interior. The standard Mach 1 in the U.S. had just a plain two spoke wheel. The deluxe had wood grain insert like the door panel and dash center. 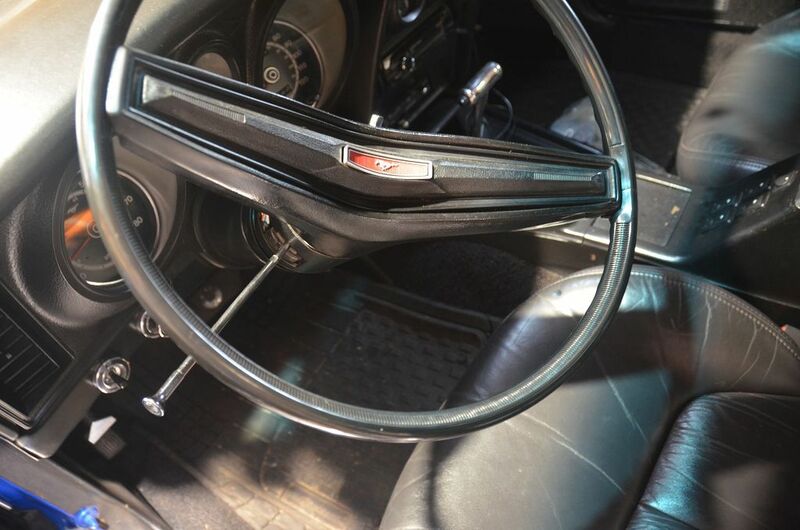 In U.S. there was a leather wheel option that had the wood grain center. There would also have been the rim blow in three spoke as an option. I would go to the Mexican Mustang facebook page and put your question there. The interiors were very different even the cars were in Mexico. From what another member has found the 4 speed was unique and also had Dana rear instead of the Ford rear. Here is picture of my 73 with leather wheel. That looks like a Grant aftermarket steering wheel, you'll need to get one from them. I would download the instructions to make sure you don't need additional parts, and to make sure which model you have and which button will work. (04-14-2019, 10:26 AM)Carolina_Mountain_Mustangs Wrote: Not sure what the Mexican had. Depends on the level of the interior. The standard Mach 1 in the U.S. had just a plain two spoke wheel. 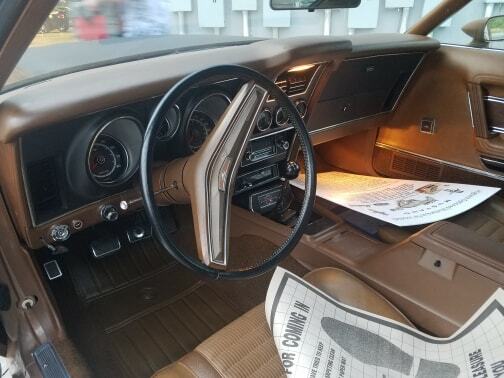 The deluxe had wood grain insert like the door panel and dash center. 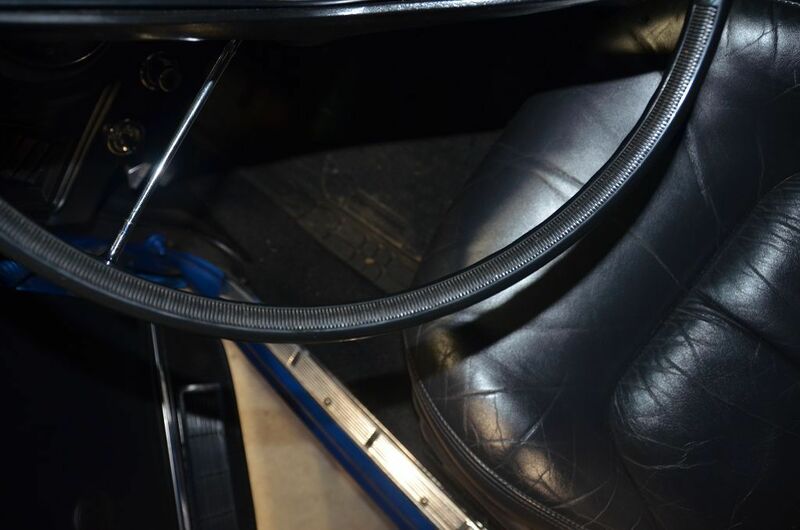 In U.S. there was a leather wheel option that had the wood grain center. There would also have been the rim blow in three spoke as an option. What is the correct orientation for this wheel. One side of he wheel is smooth and the other has ridges. I've always put the ridges at 6 o'clock, at the bottom. But a lot of the driving time is with one hand around 12 o'clock with my thump where the ridges would be if I oriented them at 12 o'clock. Which I think would feel better. I honestly can't remember how the wheel was oriented when I bought it, I don't know if that would have been correct anyway. I'm pretty sure that the wheel can be put in either way. These 3 spoke wheels have the middle one at 6 o'clock, straight up & down. Get the front wheels pointing straight ahead before you pull the steering wheel. 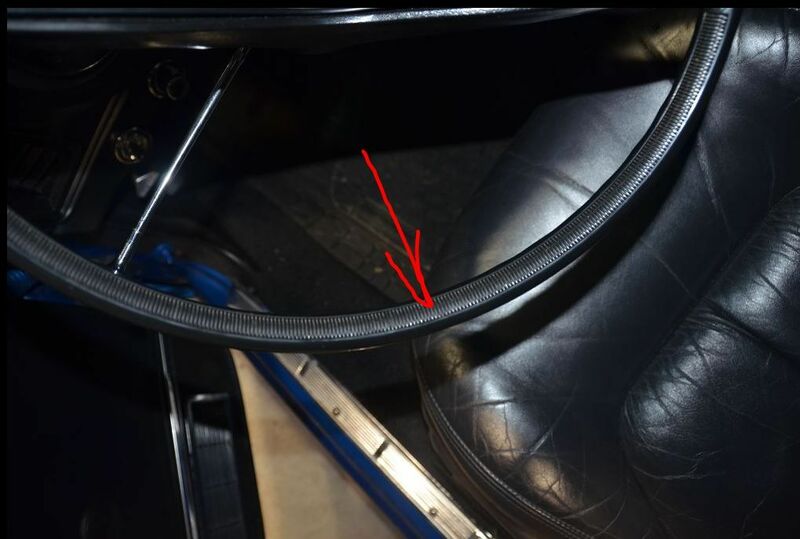 There should be a small notch at top center ( 12 o'clock ) which you need to align with a similar mark on the steering shaft for " straight ahead ". If it's off first time you drive it, wheel alignment should fix this. My understanding is that the horn center caps are very touchy so do your homework first. I had one of these to start with but replaced with a two spoke as shown above. Easy fix with correct parts. I guess I didn't ask the question very clearly. I have the 2 spoke and am trying to figure out where this feature should be. When going straight down the road, would this be on the top or the bottom of the wheel ? One side of the wheel has these and the opposite side does not. (04-14-2019, 06:05 PM)mudbilly Wrote: I guess I didn't ask the question very clearly. Ahh - gotcha now. I thought you were on to the Mexican car. If you zoom in on the 2 spoke pics above, you'll see the ridged section is at the bottom with running horse emblem sitting correctly. Same comment applies ref the central alignment notch which will put it all in the right place. The horn pad is actually designed to be a bit off center. The large arc should be on the bottom which is also the one with the ridges. Thanks all, So I have had always oriented correctly. I'll have to look at the horn pad. I know that it was a little worn and indented on one side, when I got the car. The indentation fits perfectly for your thumb when you have your arm hanging out the window and thumb resting on the pad.